With an extensive and vibrant history, Bairstow Eves has fast become an icon of professionalism in the UK property market. With our distinct red and black branding, Bairstow Eves is instantly recognised and trusted as a leading agent with an establish heritage and the backing of a wider network within Countrywide. LANDLORDS: We were landlords ourselves before establishing Woo Properties. As landlords we learnt how to get good tenants. We also learnt how to look after and maintain a profitable property portfolio. 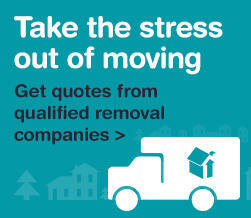 We now provide this service as letting agents to other landlords in Nottingham. After years establishing a reputation in lettings, we now provide the same hard working ethos to property sales. If you prefer a house selling service where you are more than just a number; where your needs are listened to; and potential purchase enquiries are followed through promptly; we would like to talk to you. Whether you are a landlord, a tenant, a seller or a buyer - We will treat your interest in a property seriously.